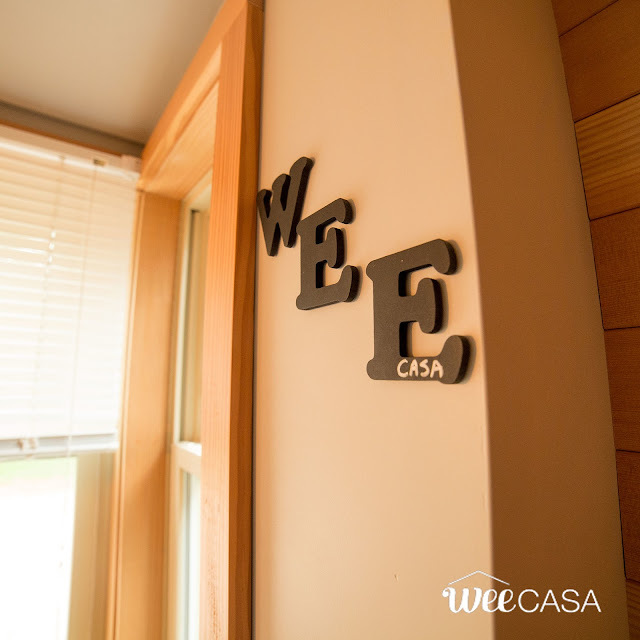 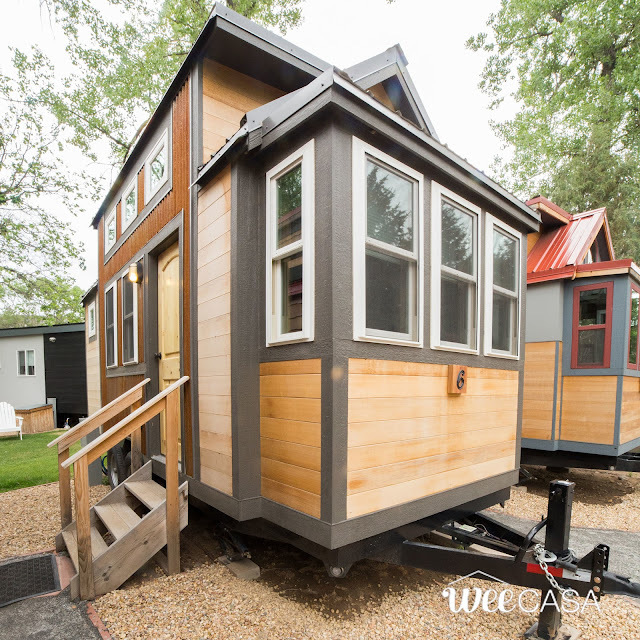 The Rusty Aspen: one of several tiny homes available for rent at the WeeCasa Tiny House Resort in Lyons, Colorado! 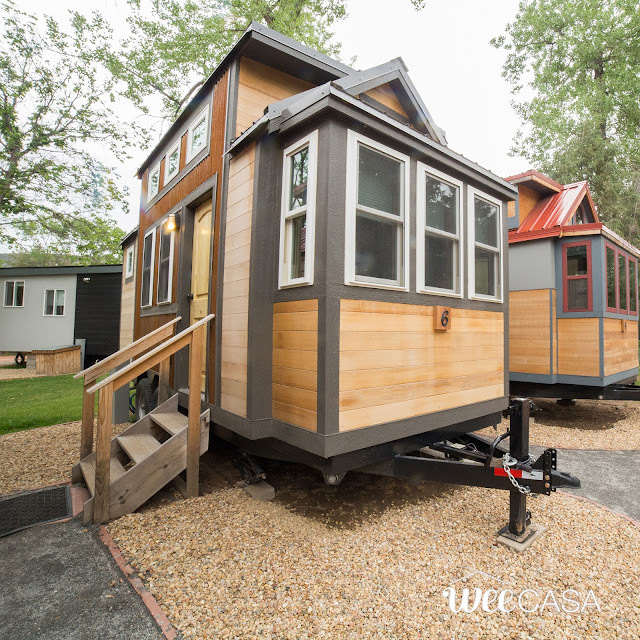 The home is built onto a double-axel trailer and has an interior size of 170-sq-ft. Its main floor features cork flooring, a cozy sofa, a fold-away desk, and a sliding barn door that leads to the home's bathroom. 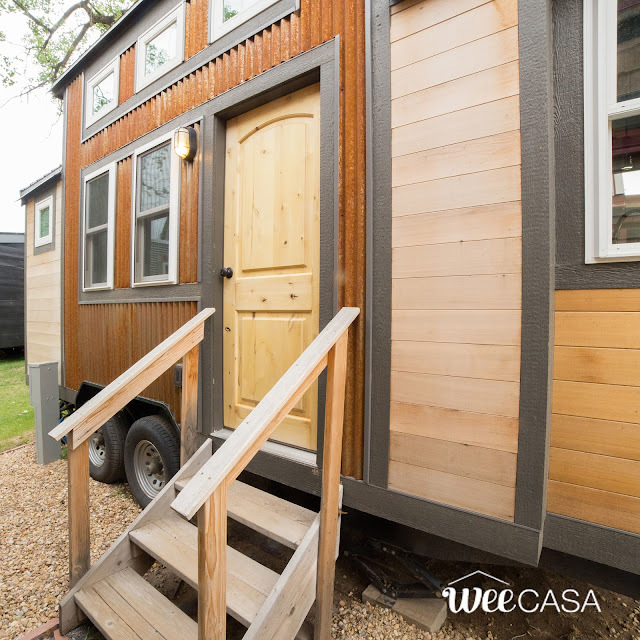 There's also a kitchen with a single-burner cooktop and a mini-fridge! The Rusty Aspen is available for rent here at $129 a night!